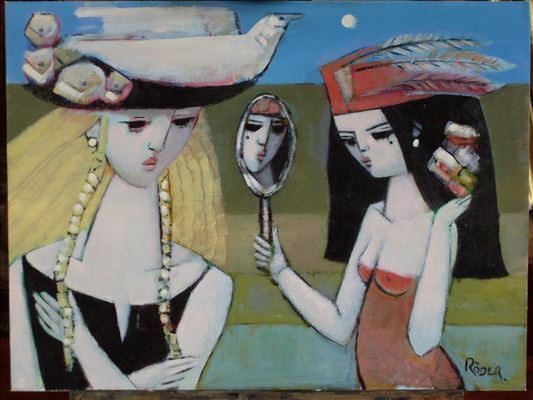 I popped in to see my great friend Lynne Strover at the Strover Gallery this morning to get a sneak preview of her upcoming exhibition and I have to say that I love the work by her new artist Endre Roder. Here are a few of the works and as ever, they are significantly better in real life. The private view is on Saturday 2 – 5pm – all friends of Angel and Blume are welcome, so she tells me – and the exhibition continues until 24th March. Once upon a time, houses had a wealth of rooms dedicated to particular activities – rooms that rarely appear in our modern homes. We look at how to integrate these useful spaces back into our homes. Fashions for rooms come and go as our society changes and our relationship with our homes develops. The separate dining room, for example, has seen a great demise in recent years as dining tables and sometimes a TV and sofa are incorporated into a modern family kitchen. However our basic daily needs from our home often remain the same even if it is us now using the space rather than the staff! A butler’s pantry was traditionally a room for plates, glasses and a sink and was evident in most grand historical houses. 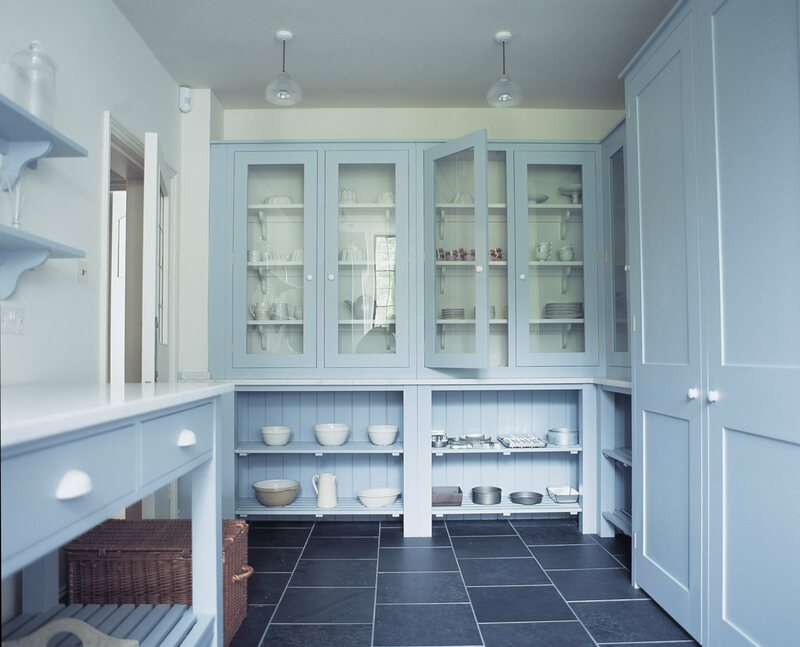 Whilst this room might seem like an extravagance these days, if you entertain often a modern version of this can be really useful and marking out a section of your kitchen to store glassware and crockery close to a sink or dishwasher is a way of reinstating this practical space. Some modern large houses have even created a 20th century version of this room by installing two kitchens; a residential kitchen for everyday meals and a catering kitchen for entertaining purposes. A larder or cool room, the cool room or larder is another room that is making a bit of a comeback with more people requesting them in modern homes. Brilliant at freeing up space in a kitchen, an insulated cool room with shelves and a sink reduces the need for lots of cupboards in the main food preparation area and acts as a natural overflow for your fridge. 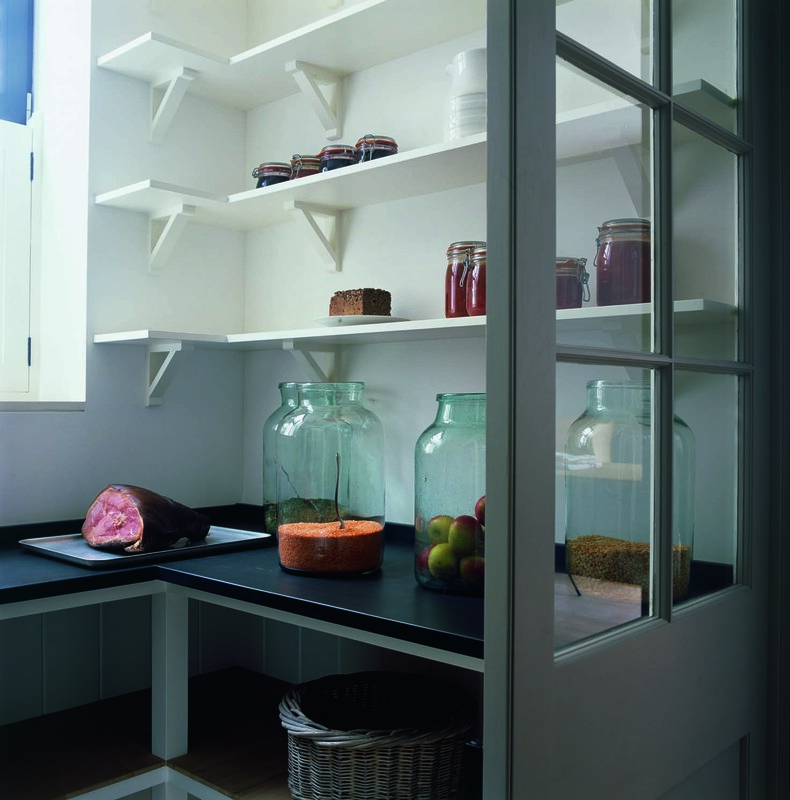 When planning your home it may be worth going for a smaller kitchen that incorporates a decent sized larder. A boot room may already be a familiar concept if you live in the country and undertake outdoor pursuits. 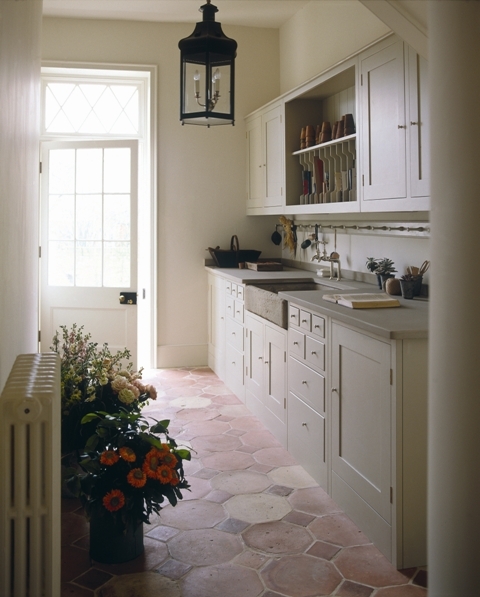 Popular in historical country houses these rooms provide a heated space for wet boots, coats and clothes to dry out. 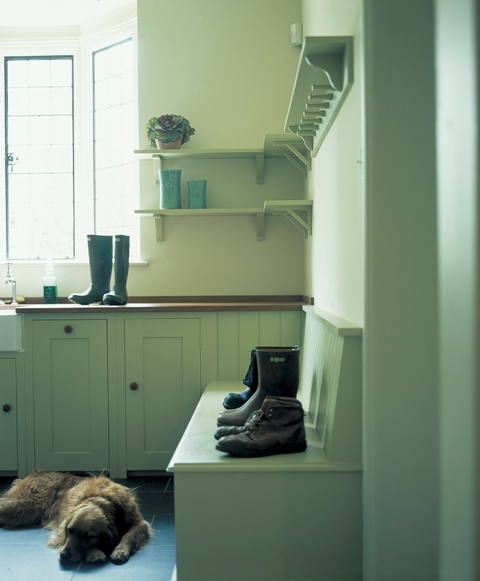 They are usually fitted out with hooks along the walls and low level heating and someone returning home after a long day outdoors can walk straight into this room and remove their wet and muddy boots and clothes before entering the rest of the house. A great idea for any rural home, saving a space for this set-up is worth considering in a modern house. 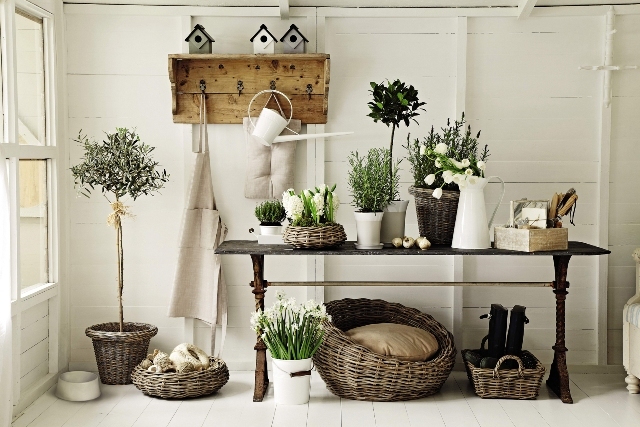 A flower room is likely to appeal to all you gardeners out there. Traditionally set as the back of the house, near the gardens this room served as a practical room for storing vases and garden tools, with a sink and bench for arranging flowers. Although not many of us would have the space for this in our own home, if you have a utility room you could always set aside some space there with a separate sink for this purpose. Whilst these rooms all sound appealing, when considering your own home, essentially you need to ask yourself, ‘how do I live in my house?’ and ‘what rooms do I need?’ But be warned, you might be surprised by the answers; I am now desperate to find space for a flower room! Minimalism can be thought of as huge, bare white spaces but this book presents beautiful liveable pared down spaces that focus on light, textures and materials and it makes even an accessories junkie like me want to go home and have a good clear up. 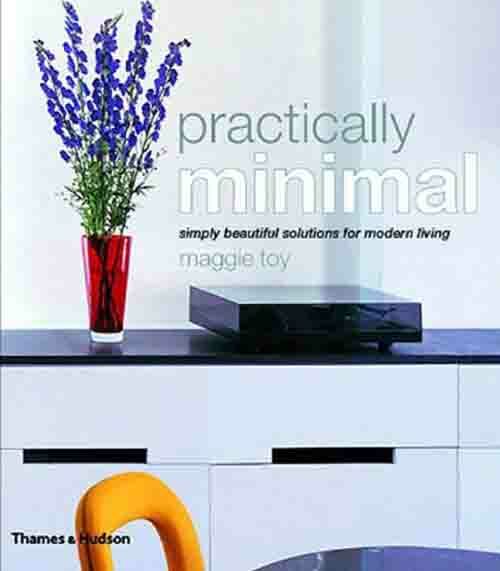 It is a truly inspiring book that presents elegant, comfortable spaces that are a triumph of form AND function and I would urge any of you that love the minimalist way of live to invest in this book – I love it and I am sure you will too. I have owned this book for many years and I keep coming back to it for ideas. It is full of comfortable, relaxed, carefully thought through interiors that all have a contemporary slant but often in a period setting. I think it is a very useful book for most people undertaking a project and there are so many lovely images, there really is something for everyone. 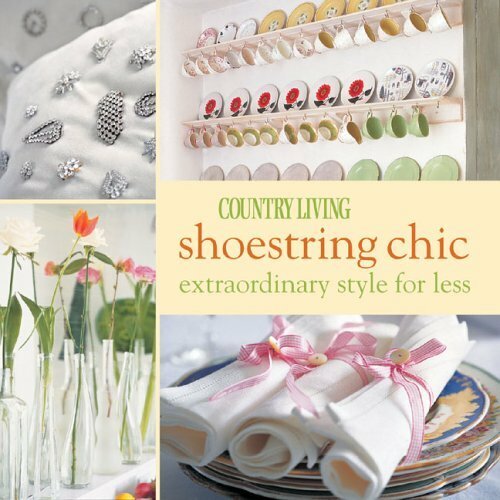 Gail Abbott wrote this book from her heart and she lives and breathes the art of shabby, shoestring chic. This book is about restrained beauty, seaside influence, vintage Swedish, French antiques and understanding the style so thoroughly that pieces picked up from a charity shop, flea market or car boot sale, anywhere in the world, will look a million dollars when they installed at home. 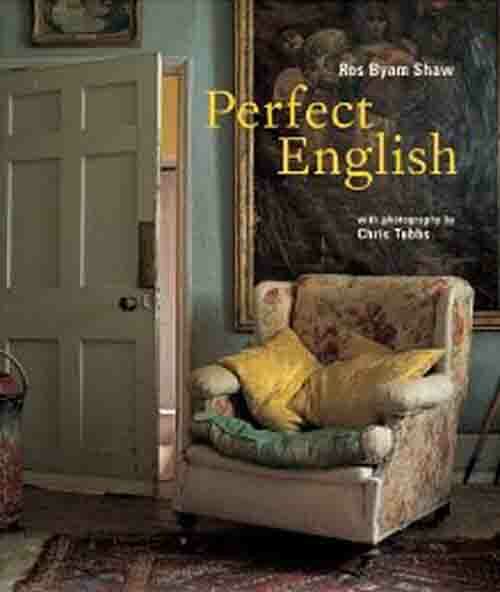 For me, this book captures the heart of English decoration – it isn’t the perfect, beautiful decoration of Henrietta Spencer Churchill or Nina Campbell but the real look of an English home that has evolved over the years. It encompasses farmhouses, stately homes, townhouses and cottages so if you love a bit of home grown style, this book is more than worth a look. 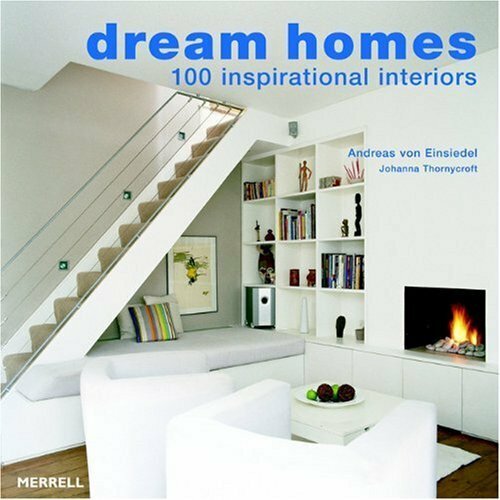 A friend of mine bought me this book a while ago and initially I thought it wouldn’t be one of my favourite as it is simply a collection of beautiful homes. However, I have to say that I have found so much inspiration for my project work and for my own home that too many pages have been torn out and a new copy has had to be purchased! A really good book if you are just starting to identify your own style and want a wide range to look at and if that still isn’t enough for you, there is the aptly titled follow-up, More Dream Homes!